Mandy tell story about "The Shadow Mountains, 1983. 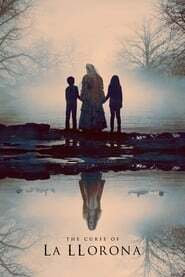 Red and Mandy lead a loving and peaceful existence; but when their pine-scented haven is savagely destroyed, Red is catapulted into a phantasmagoric journey filled with bloody vengeance and laced with fire..". 1 day ago - Saw this movie last week and disliked it at first. Without going into spoilers, I was probably in the wrong mindset to enjoy it properly. But, it stuck with me for days later and I couldn't stop thinking about it. I ended up liking it a lot and will re-watch it as soon as I get the chance. It's visually stunning and the soundtrack complements the visuals perfectly. Soundtrack is getting released in September and I will definitely get it. Not an easy movie to digest, even though there are some scenes that will definitely leave you wondering if they were meant as comedy or if they were just done wrong. This mostly comes down to Cage's somewhat uneven performance - but it's nothing like Wicker Man and it only comes down to a couple of individual shots. Highly recommended! 8 day ago - Definitely not for everyone, this is a niche-of-a-niche type of film: psychedelic-art-horror with a dash of comedy. And I loved it. Some incredible shots and scenes with tons of mind bending crap. So much going on. After a first watch, I think a few of the scenes could probably have been cut a little shorter but I don't know... I need to watch again. And I *want* to watch it again. I felt Nic Cage's particular brand of acting fit perfectly... I think the bathroom scene, even though a little out of place, is such a classic Nic Cage scene. Jarring, the acting in that scenes was... not good, but so Nic Cage. I knew going in that this was probably going to be a movie I'd like, but had prepared myself to be disappointed. I wasn't disappointed at all. I think this is destined to be a cult classic. 1 day ago - This is "style over substance" done to the extreme. While visually stunning, even hauntingly beautiful at times, there's utterly no point to any of it. Add to that the ridiculous and sometimes painful dialogue and extremely slow pacing, and you got quite a mess in my book. Now, that is not to say it does not have any redeeming qualities - the visual aspect is one, so is the soundtrack. And, well, Nick Cage is .. well, Nick Cage. (YOU RIPPED MY SHIRT?!) I have to assume it is an inspired watch if --and only if-- you're watching it while higher than high. That must also have been the state of those who made it, let alone greenlit and financed it, because despite having so very little to offer in terms of storytelling, it must have cost an arm and a leg to film and produce. Anyway. Unless you are extremely into artsy, pretentious, drawn-out gore-fests, give this a wide berth. 6 day ago - Being very intrigued and in parts fascinated with Beyond the Black Rainbow from a pure cinephile perspective, I was quite eager to see a new film by Panos Cosmatos. After learning about Mandy and what it was about, and seeing it being a bigger budget and more thought-out endeavour, I was of course very eager to see it. After finally watching Mandy it feels to me that Panos Cosmatos failed to deliver on the promise of his first film's virtues, and actually re-established his weaknesses as a director. Not that this is a negative opinion on this film overall. Just explaining how and why Mandy failed my high expectations. Take those sentiments as you will. Besides elements familiar from his first film, with very carefully stylized and mostly beautiful shots and scenes overall, a dreamlike, menacing and off-worldly setting, slow and meditative pace, Mandy also managed to surprise me on several levels. I really appreciated how Mandy, the character, was written and performed, like sort of a person who naturally dislikes and distrusts people. I think Andrea Riseborough did a brilliant job here, although physically, she appeared a bit anorexic to me. I don’t know if she had weight issues that year, and I usually don’t care about those things, but in this particular case her appearance felt a bit jarring to me. But I digress. Other things that majorly surprised me is how the cult was realistically portrayed (if we ignore the biker gang), for better or worse. It's like they were very purposely demystified, in every possible opportunity. And all that in the setting of mystification and stylistic painting of the world as fantastical, which confused the hell out of me. And nothing in this regard changes toward the end. The director, I feel, even chooses to emphasize on this more and more as the movie goes on. It's worth mentioning that Cage's performance, while excellent, was not "baroque", how he calls some of his wild performances, but very controlled, adding little to film’s unearthly atmosphere. 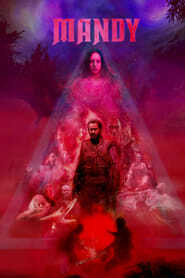 Most importantly, Mandy felt like a film with huge problems in both pace and elements that are tonally very disjointed, while each of these elements separately is excellent (faux fantastical setting versus the ugly reality of cult members' character and actions). Also, the part with the chemist really breaks down the narrative, in my opinion. That segment almost feels botched on purpose, Tarantino/Rodriguez Grindhouse style, which is one of the main things I disliked in their double-feature. Still, Mandy contains plenty of fascinating parts for the film to be worthy of re-watching, and is not dull or tedious in anyway. 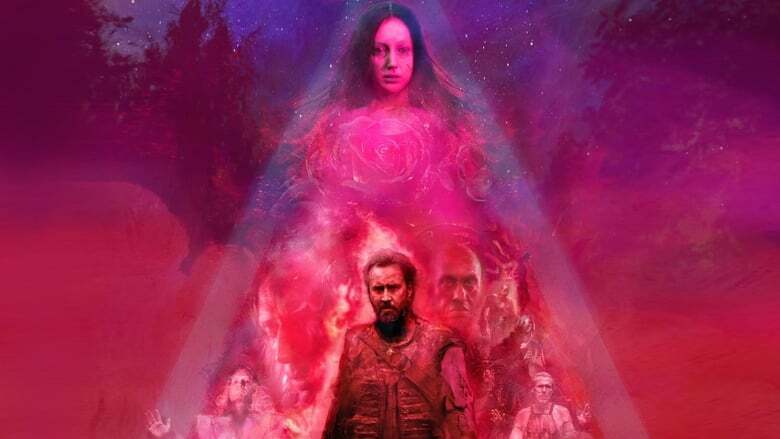 There is some point to Mandy’s fascination with pulp fantasy novels, and Red’s subsequent revenge portrayed as a fantastical quest, but this curious idea alone doesn’t help to liven up the film. Like I said earlier, this approach just doesn’t chafe well with the cult remaining a group of barely threatening and very flawed individuals. Especially given the fact Red managed to overpower a much more dangerous and menacing group earlier in the film. The movie simply fails to ramp up in any manner toward the end, while the story and style demands that. Finally, it’s just not the cult film I expected to see, and I think a lot of people felt the same, given the lukewarm scores. A kinetic, relentless, wild film, what it should have been. At least in its last third. It's just too...stilted. And sadly, I sense this is more a limitation of Cosmatos, than a strong, firm decision on his part. I am now much less excited after seeing Mandy about Cosmatos’ next film, and I think he failed to put himself on the map with Mandy. The future will show. 6 day ago - Ok, I can see what Panos Cosmatos is going for; riding the 80s vibe but going for heavy metal instead of synthwave. Set in the eighties, there are plenty of references to the cultural conglomerate of the era with glam/speed/heavy metal and fantasy art, b-action machoismo, outsiderness and self-imposed isolation. It is even haunted by the counter culture seventies with the vicious religious hippie cult and their LSD fueled motorcycle gang lackeys. Though anachronistic, I can see Mandy as an attempt of a drone or sludge metal album in a movie format or concert experience, as said were more a nineties evolution. The key elements are there for all senses; excessive slow tempo, cross processed colors, heavy distortions, huge delays and massive reverbs. Unfortunately it loses itself in this gloss and ends up superficial and pretty with more tiresome slow motion that an entire season of sport of your choice. The story churns from A to B with little character or evolution. The raw expositions become flat and pretentious. The violence that should be shocking becomes a tedious grind without any build up or tension. Honestly, I wanted to like this movie. I tried to watch it as a art flick by an auteur director, as a hommage to an era and even as a deadpan pastiche. I don't know what I'm missing, because for me it ends up not a denim and studs speedball but rather a pubescent fever dream through an instagram filter. 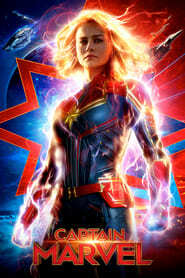 Had it not been for the multiple credible names involved and the over the top stylistic finish, I think it would have passad as a retro exploitation revenge flick without much attention. 7 day ago - This is one weird movie. I have to confess that I am quite a fan of Nicholas Cage. I know he has made more than his share of really crappy movies but I can not help myself. When I see a movie with him in the lead role I still have to watch it. This movie is one of those. There are definitely some interesting cinematic aspects to this movie. As a piece of cinematic art I would say that it is not bad at all. However, it is definitely weird and whoever wrote this script, well he was on drugs when he wrote it, there is no doubt in my mind about that. It is part a grindhouse movie in the spirit of Tarantino and Rodriguez and part a far out psychedelic visual experience. I do not regret watching it. It was a experience if nothing else. 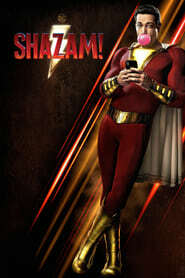 Was it a good movie in general? No, not really. The 3 out of 5 score from me is barely and it is largely due to the cinematics, a few cool (and violent) scenes and Nicholas Cage. The movie seems to focus on delivering one weird scene after another. There is not really any explanation to most things. I especially would have liked to know more about and get more of a conclusion on this (supernatural?) bike gang. But they just show up and then they kind of disappear from the story. The main bad-guy is an absolute nut-case but we never really get to understand what drives this weirdo. He has created some cult with a few followers but that is about it. His demise, although satisfactory, is just a show of insanity. 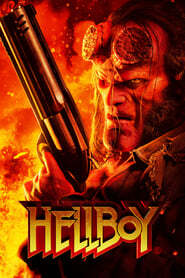 In short the movie is a mix of heavy metal, horror, violence and psychedelic weirdness and I would say that the audience for this movie is a quite small group of people. I’m not really sure that I am in that group.